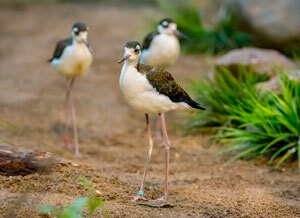 The Zoo announces three black-necked stilts hatched in January are on display in the Aviary’s Kopje Exhibit. The chicks were hand-reared by zookeepers because the first-time parents were a bit inexperienced. It is always the Zoo’s hope to allow the natural parents to rear their own young, however if complications in development should arise, hand-rearing is a necessary option. 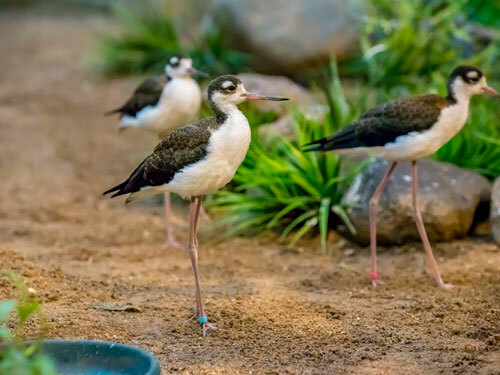 If guests visit the Aviary to see the chicks, they’ll notice they have similar plumage to the adults, but with a scalloped pattern on their backs. The chicks are currently on exhibit on their own, and doing well. 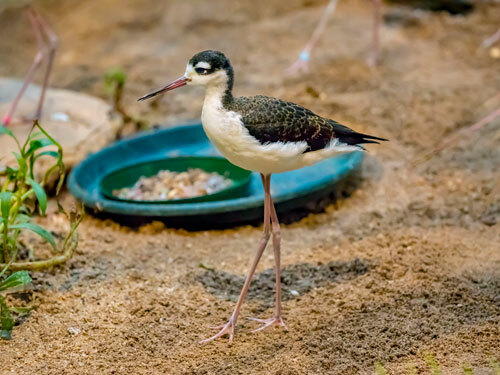 An interesting point about the black-necked stilt species is that they have the second-longest legs in proportion to their bodies, second only to flamingos! 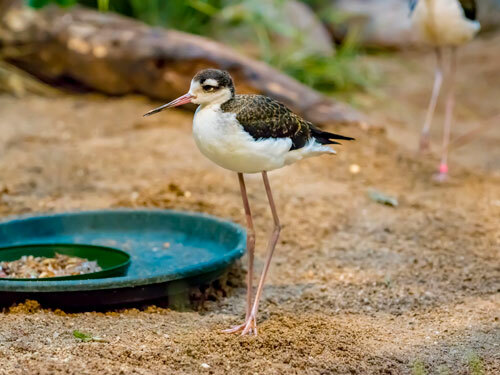 Zookeepers report the chicks are eating a commercial brand of pellets which include vitamins and minerals, in addition to a mix of the following: diced smelt and capelin, hardboiled eggs, lettuce, mealworms, waxworms and crickets. 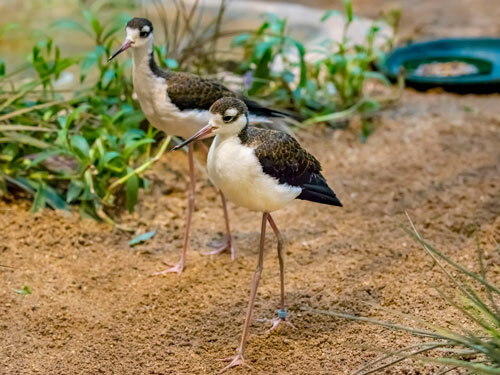 In the wild, black-necked stilts are found in the shallow wetlands from the Western U.S. to Central America, and also parts of South America. Be sure to see these unique birds next time you visit!